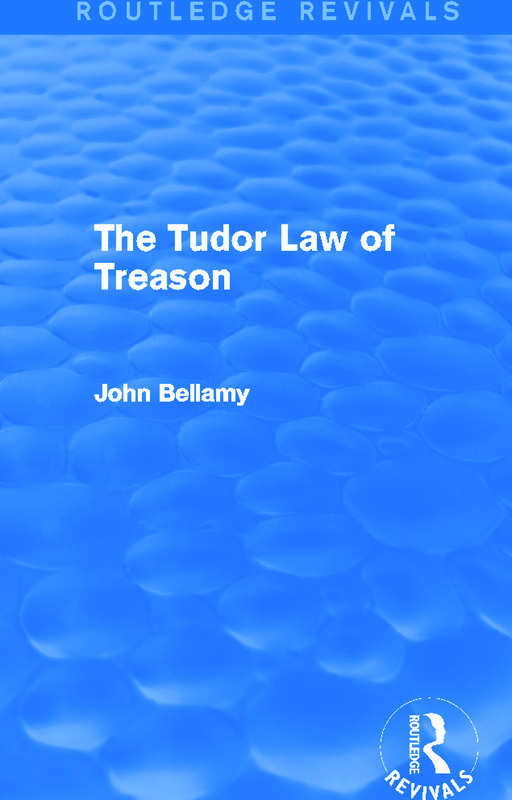 This title, first published in 1979, was ground-breaking in its exploration of the understudied area of the Tudor law of treason. Bellamy first examines the scope of that law, noting the inheritance from the Middle Ages, the effectiveness of the new statutes and interpretation of the law by the judiciary. Mining the archives for official, legal and literary accounts, the following parts consider how the government came to hear of traitors, the use of evidence and witnesses in trials and finally the fate of the traitor at the gallows and beyond. This is a full, useful and interesting title, which will be of great value to students researching Tudor and late medieval statute law, the Tudor concept of treason and the mores of Tudor society.